Staying on ground floor unit condo. I wish to install a retractable canopy over my PES. I check with Mgt office. Well, i was advised to check with BCA on approved ones and also to wrote to MCST for permission. And i might be asked to present during AGM. The mgt office advised me to do it concurrently so that if the MCST ask for BCA advice or approved types of canopy. I'm thinking, instead of getting info from BCA, can i just ask some professional advice from canopy contractors on restrictions? If yes, any one can recommend any contractor for this? its a pretty new condo. no other units did this. Some install those big roller blinds which is v ugly. i'm doing it coz of esthetics and safety purpose. So i will be the first to submit this for approval. And i better get my facts right first. your MCST may not know what need to apply permit a what not, they are just guessing. Awning of certain size does not require permit from BCA. But your MCST may want you to confirm to certain model and color. You can google for awning contractor and get them to go onsite to give you a quote and also ask for advice. I nearly did one last year but shelved my plan. Edited by Ct3833, 28 January 2019 - 11:29 PM. Must it be retractable? It's difficult for 1 owner to talk to MCST. BTW, since it is a new condo, I think MCST hasn't been set up yet and the managing agent is appointed by the developer? If so, I suggest you band together with the other PES units to get it approved - this is the best time to do so as other itchy backside and green-eyed unit owners can't influence the MA. Mine is done up like this. BCA permit is for fixed cover only right? I think retractable don't need. 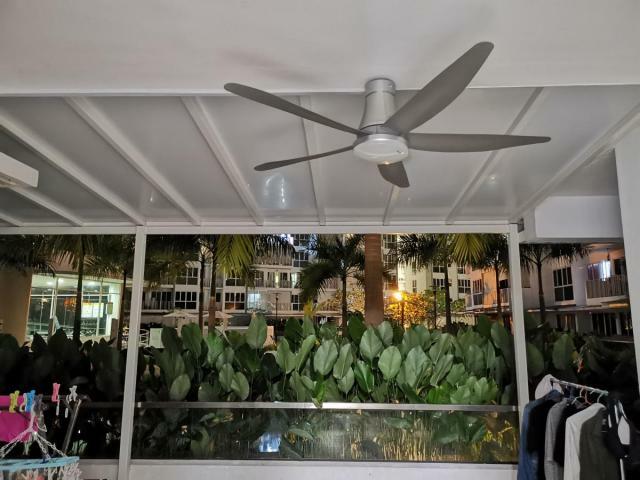 For fixed awning, you are right and need to get BCA approval if it is above a certain size - application fee also not cheap but can be shared with neighbors if done as a batch and by same contractor. By right, the awning also needs to be fireproof certified which will be additional cost as well. Edited by Kusje, 28 January 2019 - 11:41 PM. If yours is a new condo, the Developer will be the mcst until such time the resident is ready to elect their own. MCST can only decide on Aesthetic, for engg and technical matter, you will need QP to approve if you are erecting something above the BCA guide. The current MA is appointed by the current MCST which is the developer. 1) ask the developer to provide the drawing that standardised all the awning n trellis design, they still have all the QP n archetic with them. This will be the approve drawing that save all a lot of money. 3) read up the BCA guide. If I remember correct, if it is less than 2 or 3 m from wall, no need special permit. noted that you mention your neighbour installed roller blind. If your awning is extended into common area, there may be a problem. Also if your Awning is not MCST(developer) pre approve design e.g., the pre approve design are Trellis than you want to be special and go make a blink blink awning, than they can ask you to tear down as there is no uniformity and it was not an approve design. Nice, that gives you a lot more usable space. is yours Lean-To-Extension roofing using composite panels ? If i am correct, as long as there is no reinforced concrete , there is no BCA permit required? meaning your does not need BCA permit, or I am wrong? Edited by GoodCar, 29 January 2019 - 12:37 AM. Another thing that could be of interest is to seal up the entire area. Many of my neighbors have done so - I'll try to get a pic another day. I got a quote and it will cost approx 10k but it's worth it if you need the extra space. Total 20kish (10k for awning, 10k for closing up). Edited by Kusje, 29 January 2019 - 12:40 AM. We gather about 30 units and manage to push developer to give us the approved drawing. We then engage one common contractor to help us built and do all the paper work with the gov agency. Must be careful with enclosing......URA will not allow glass enclosure. I always thought that no one can install anything that affects the facade of the condo building? This is interesting, your MA don't know and ask you to check with BCA? How did the other install those blind leh? The developer is the administrator of the MCST for 12 months till the 1st AGM, once the house rules are set, then that set the tone for future. BCA only comes in if you extend beyond your strata unit. Is the sealed up an approved addition? May not though. So check before you do likewise before you are asked to tear down in future. That is why must get an approved drawing from the developer. They will standardised the design. BCA (or URA) doesn't allow for sealing up. Supposed to have some ventilation (louver like?). Also needs to be MCST approved. Just install louver, inside the house get some screw on acrylic sheets. If anyone wanna check, stall them then unscrew the acrylic sheets. Problem is that such a set up will get very dirty. Not just dust but mold and moss so you need to unscrew and clean it often. Edited by Kusje, 29 January 2019 - 11:45 AM. I heard of someone sold his dual key with handsome profit as these become a rare item. Edited by GoodCar, 29 January 2019 - 11:33 PM. If the awning is not more than 2m depth, no need permission. Also the Private Enclosed Space cannot be er.....’enclosed’. Strange that they term it Enclosed Space then. True but for MCST, you need to get council to approve. It affect the development facade. Just imagine a development with multi color and different shape awnings.